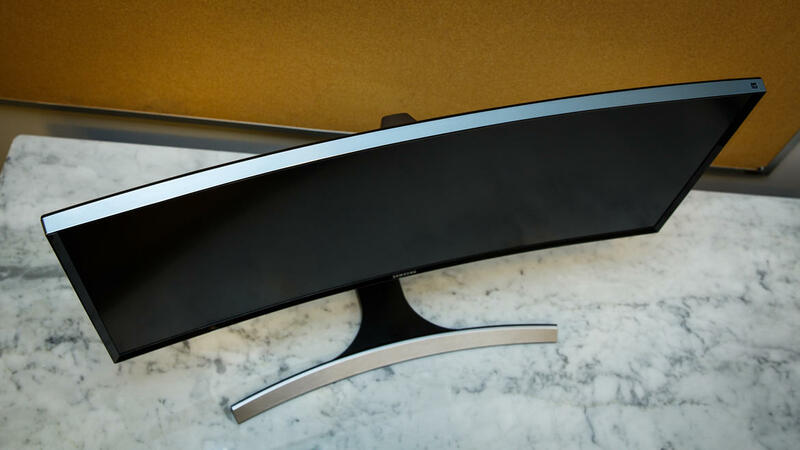 The ultra wide monitor is gently curved and not straight flat like other monitors providing a beautiful cinematic experience for media consumption. The design of the ultra wide monitor itself is unusual. With a curved stand that looks like its made of metal. 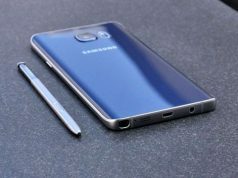 it also houses a power button on the back that can not only turn the monitor on and off but also can navigate the menu as it also acts as an analog controller. While using the monitor, I was able to open multiple browsers and could also write this article on the Microsoft word without any hiccup. Even thought all the apps are side by side on the screen, it did not cause any problem for me to differentiate the apps. It was pleasant working on the ultra wide monitor that has a resolution of 3440×1440. 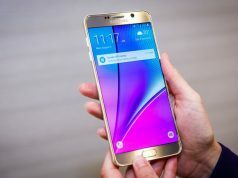 It is a Wide Quad High Definition display with an aspect ratio of 21:9 which is ideal for movies. The ultra wide monitor also features an adjustable stand that can be very useful in setting up the monitor in your preferred position. The back of the monitor is equally beautiful with the back panel having a brushed metal finish but it is actually quality plastic. Samsung has equipped the ultra wide monitor with ample number of ports. 4 USB 3.0, a display port and 2 HDMI ports to be precise. Although the ultra wide monitor is not promoted for gaming, the 34 inch beautiful screen can handle the games really well. 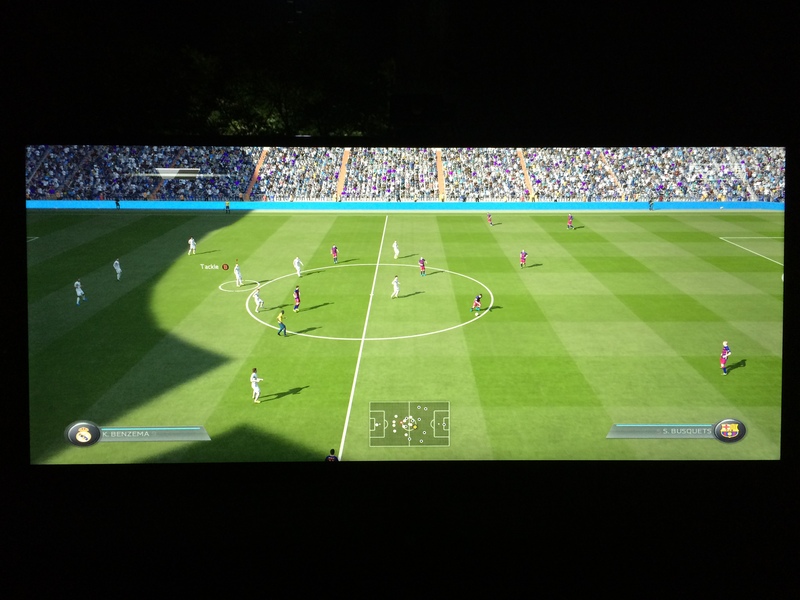 for example, the FIFA 2015 can be played while still viewing the entire field. 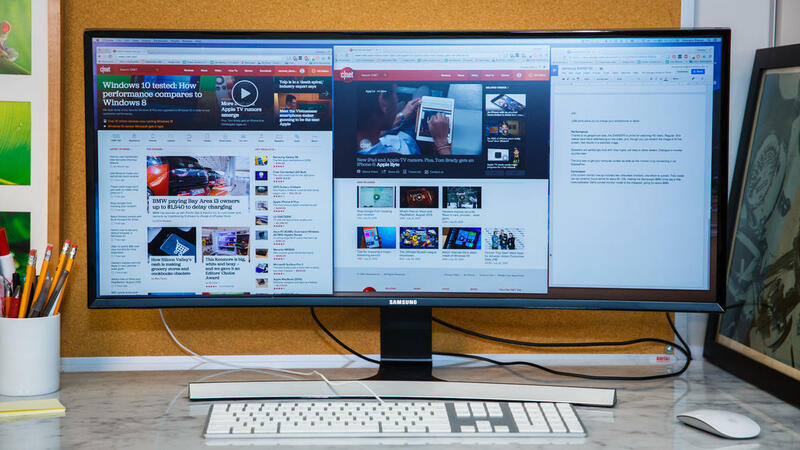 Samsung has done a commendable job in producing such a monitor that is ideal for work.